I am the first to admit that Geometry was not my strong suit in high school. I'm more of an Algebra girl and couldn't quite grasp the concept of proofs and why in the world I needed to learn about them. Needless to say, when I first started teaching Geometry to my fifth graders, I was a little apprehensive. When I am not confident about a topic, I throw everything I have into learning about it because I never want my students to feel the same way. 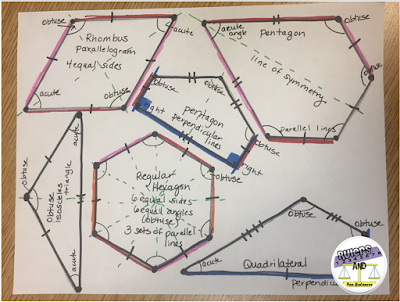 Our fifth grade Geometry Unit is now my absolute favorite, and my students LOVE it! I always start my unit by playing "Geometry Simon Says!" It is the perfect way to review previously learned vocabulary words through kinesthetic movements. The kids BEG to play! I created a Geometry Guess It! Game for my students and modeled it after the game of Taboo. Students can play it in teams or you can play as a whole group. 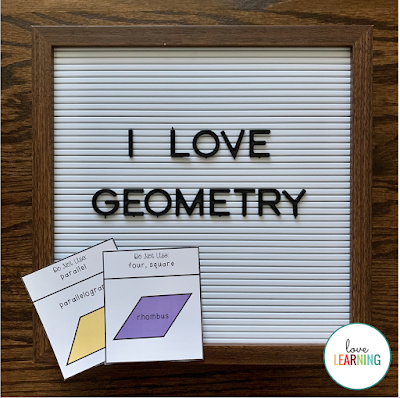 Basically, students have to describe a particular shape or geometry concept using attributes. Each card that they hold in their hand has the words, "do not use" written at the top. Students cannot use certain words when they are describing the shape. My students beeggg me to play this game. They are a little apprehensive at first, but they quickly show their creativity after a few rounds. You can find the game HERE. 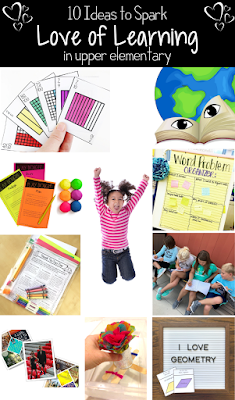 Have you ever watched students try to solve a puzzle or brain teaser? They love them and are so engaged! Geometry is the perfect math concept to integrate these into! I use puzzles like the ones below to engage students before a lesson or as an activity for early finishers. How Many Triangles Can You Find? I have taught with my friend Kelly from @rulersandpanbalances for several years now, and she introduced me to the coolest activity! She starts her lesson on polygons by having students cut out a paper circle. She then guides the students and folds the circle to eventually create ten different polygons and one 3D figure. The kids are fascinated and it sparks a meaningful discussion about attributes of various geometric shapes. You can find her lesson HERE. 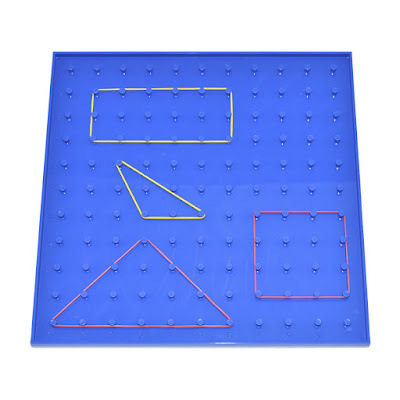 As I teach my students about quadrilaterals, I always pull out the Geoboards and have them create different types of quadrilaterals that they are responsible for learning in fifth grade. 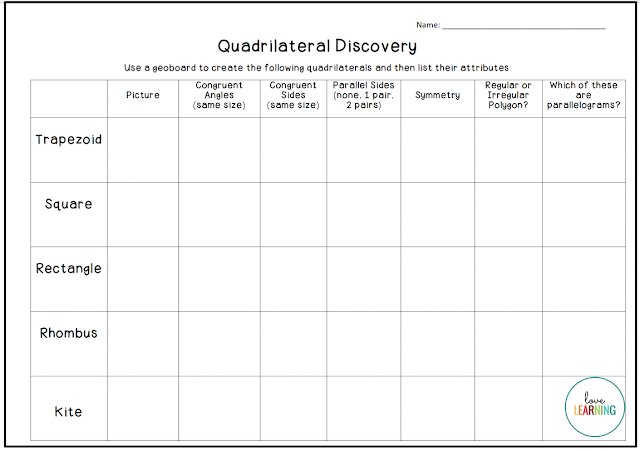 Afterwards, they work with a partner to analyze the attributes of each quadrilateral. 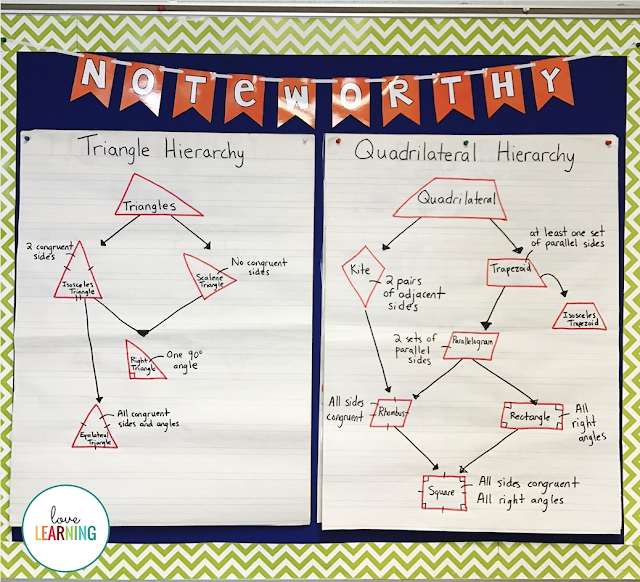 One of the toughest concepts that I teach my fifth graders are quadrilateral and triangle hierarchies. I'll admit - it took me some time to truly understand them myself. This was probably because I don't ever remember learning about how shapes relate to each other, but it makes so much sense! The best way to practice this concept is simply to practice it in a variety of ways. I always print out small cards with pictures of the quadrilaterals and triangles and laminate them. 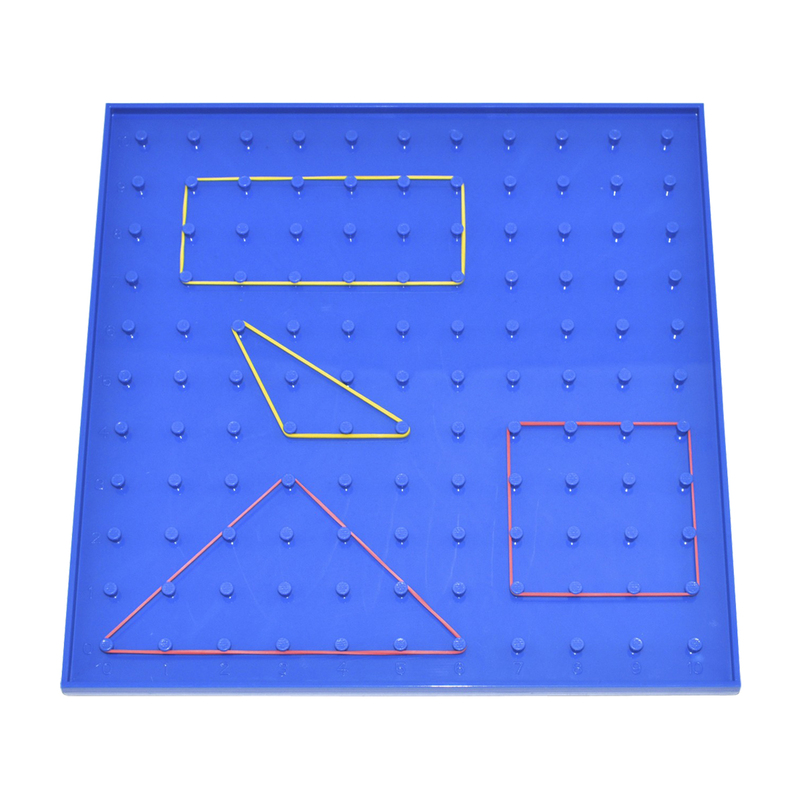 During math workshop as I work with my students at the back table, students use the laminated shapes and create the hierarchies. I have each one verbalize how the shapes relate to one another. I also use these heirarchy sorts for additional hands-on practice! Try some of these activities and watch your students LOVE math class!